“Fire of the Heart” is an ode to love. 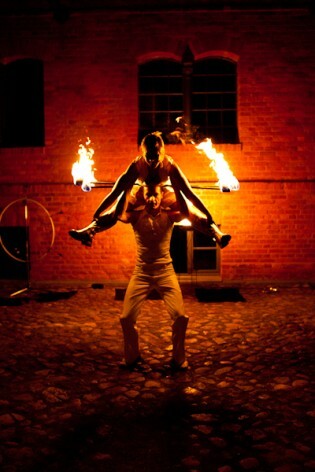 A performance of dance, sensitivity and fire art that makes the moment unforgettable. 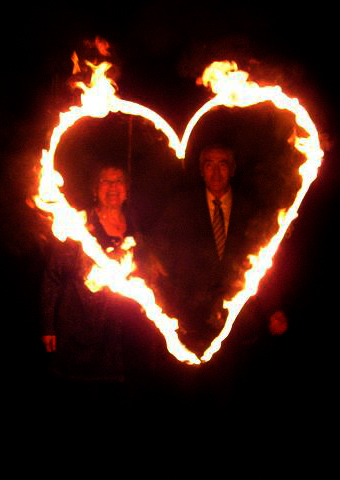 Fire dance is a special symbol: It embodies the power of love and represents the fire in the heart. Do you want to follow your path of the heart? In its dance with flames, the fire reveals itself through various facets and illuminates the night. It also creates time to look, enjoy and be in an atmosphere where thoughts can relax and go deeper. Be in the moment. 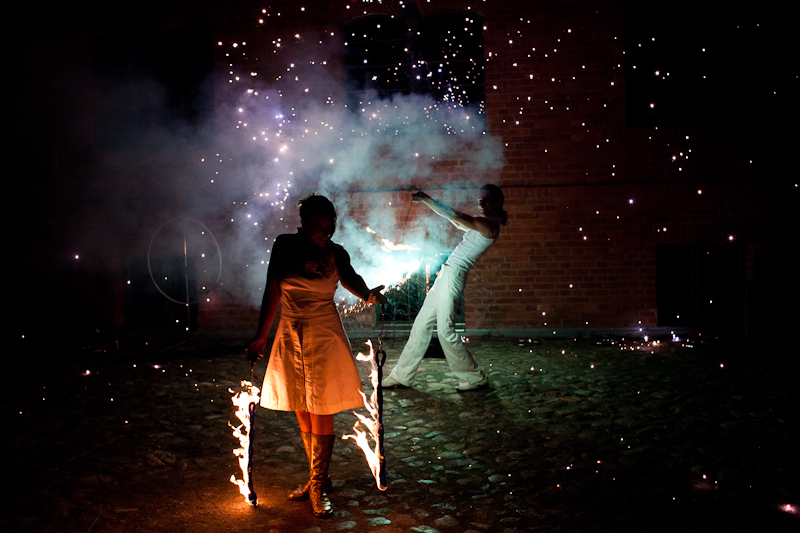 “Fire of the Heart” is a performance with a fire ritual. 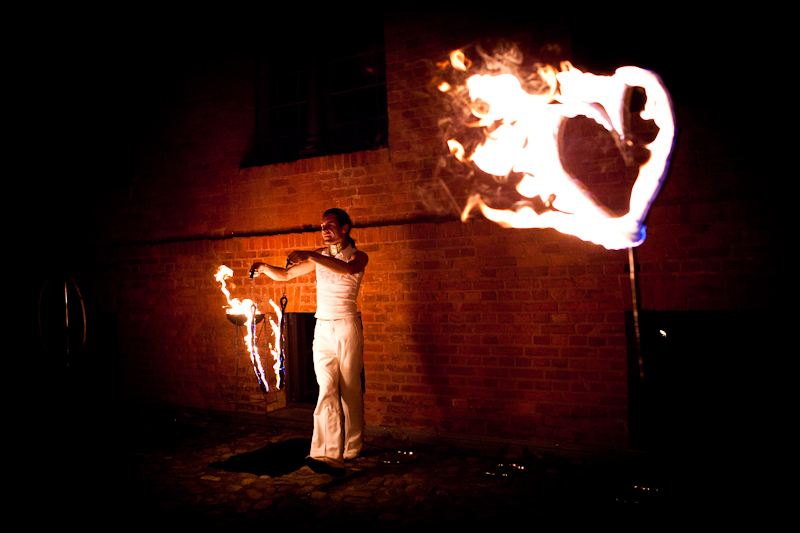 This fire show for weddings and other important emotional events is a solo or duo fire dance with flaming pois, fire fans, hula hoop and fire ropes and a burning heart which is lit by the bride and groom after the show. And for a deep moment full of reflection it reveals the deeper meaning of marriage. Often our audience books this show as a gift for special occasions, birthdays, family celebrations and – above all – weddings. It already is a little special wedding tradition. 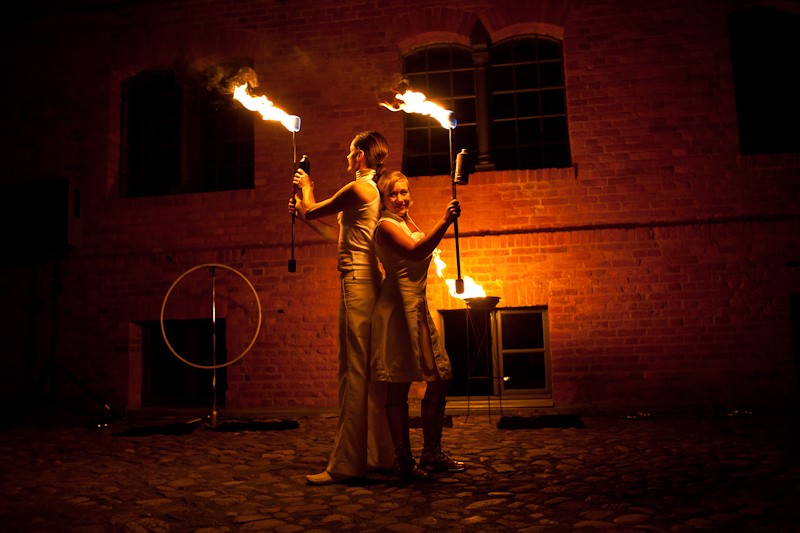 Are you looking for a fantastic finishing act for your wedding or party? 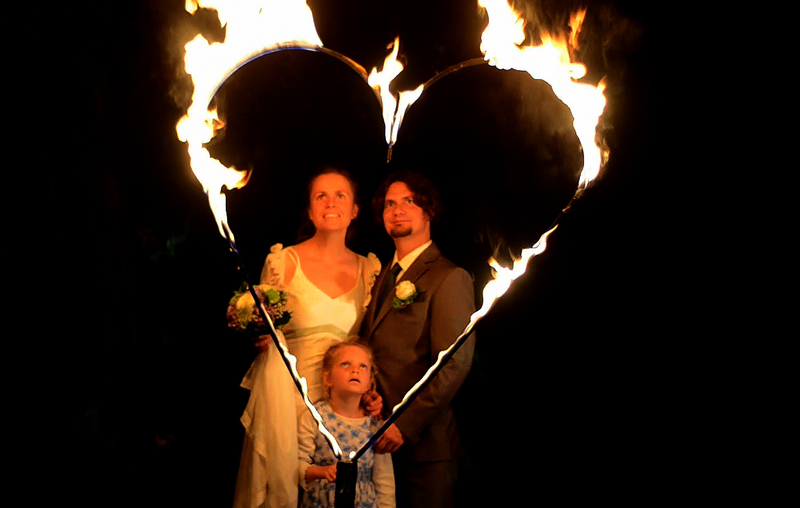 Then book the wedding show „Fire of the Heart”. 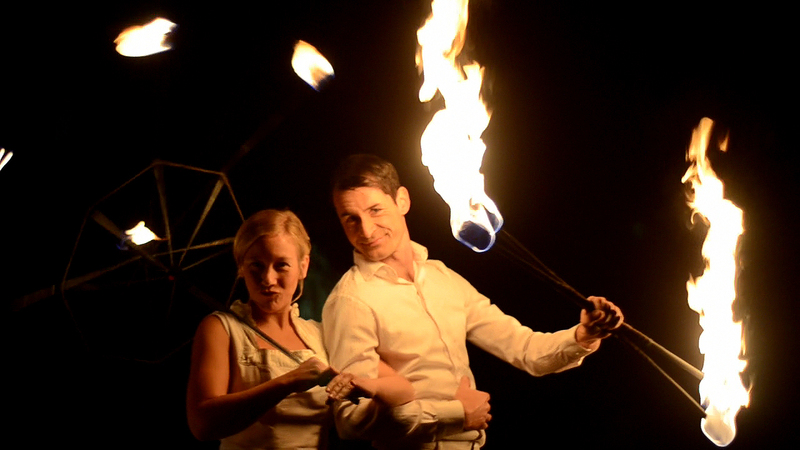 We love the power of fire and enthusiastically play with it. Duration of the fire show: appr. 20 min. width 6m, depth 6m, height 4m.